Muvi, an OTT Video On Demand Streaming platform builder, has been placed on the ‘Fierce 15’ list of top online video firms as the top ’Enterprise OTT’ platform, compiled by Fierce Market’s online video arm FierceOnlineVideo. Easily amongst the most visible video streaming platform maker on web today, Muvi’s contribution to the industry and the promise shown in the recent times has receive a due recognition from the top digital publisher. The video on demand industry today is upbeat with the rise in number of subscribers, content licensing and original programming. However, the startup costs for an on-demand or live streaming platform remain very high, almost killing the idea of a VoD service for new players in this space and posing growth challenges to the existing broadcasters and content owners . With the advent of Muvi, it’s finally possible to launch a video streaming platform at ‘Zero CapEx’. Muvi is looking to disrupt this space and bring down VoD infrastructure and startup costs to a very realistic and business friendly number, making it viable for startups and major companies alike to launch their service in ‘days’, instead of ‘months’. 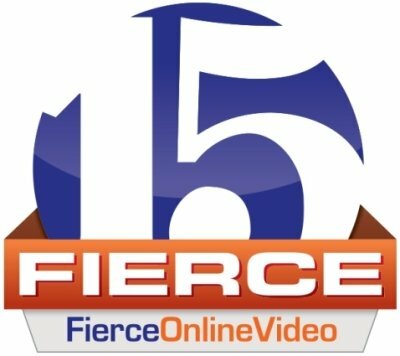 Fierce 15 is a prestigious annual list published by FierceOnlineVideo featuring the hottest online video companies that are privately held, well-funded, emerging (founded in the past few years), and have to be either based in the United States or have a significant amount of business in the U.S. online video market. FierceOnlineVideo, an internationally recognized email newsletter and online publication covering the wireless industry, evaluated numerous privately-held companies, primarily doing business in the U.S., on the basis of their technology, products and services; their business plans and vision; and most of all on their potential for changing the wireless industry. The Fierce 15 companies were evaluated and selected by FierceOnlineVideo’s team of editors–Samantha Bookman, Mike Dano, and Nicole Blanchard.